Overall landscape planning and environmental quality are two important factors to consider in determining whether a landscape plan can pass the approval test. Based on those two factors, the landscape will be assigned to a specific class according to the Standard of Rating for Quality of Tourist Attractions. Himing Solar is a company that provides tailor-made landscape planning solutions by bringing cleaner energy to the landscape, which in turn helps attract more customers and boost local tourism industry. The solar sightseeing car is driven by solar energy. It creates zero emission, which is contrasted with traditional automobile that uses heat engines to provide energy. Unique frame design reduces the overall weight as well as improves driving stability and speed. This solar car can travel as long as 60km between charges. 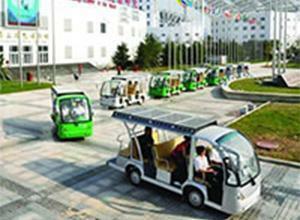 Core Products: Solar Sightseeing Car, Solar Yacht, Solar Electricity Charging Station. 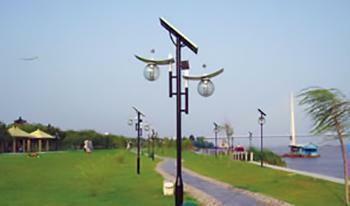 Our solar energy lighting provides a decorative, eco-friendly lighting solution for landscape. 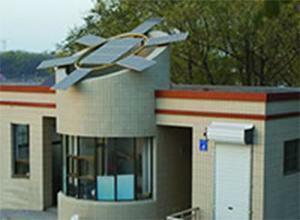 It harnesses solar energy to generate electricity. Installation of such a lighting system saves cost spent in laying out wires and ducts. 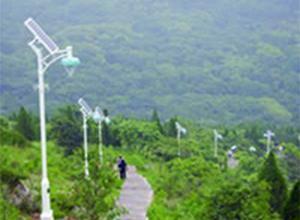 Users can freely arrange the lighting to add decorate effect to the road landscape. 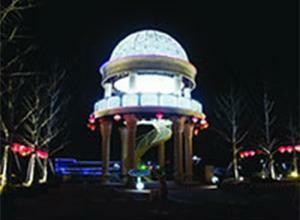 PV sculpture incorporates the solar PV system into a sculptural design to provide an ideal combination of lighting art, sculpture art and high-tech control technology. It not only serves a utilitarian purpose but also adds a decorative touch to the landscape, making your lighting a special attraction for tourists. 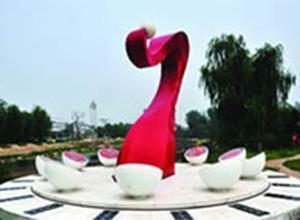 Pictured above is a European-style pavilion that evokes an image of the Shanghai Oriental Pearl Tower. Exquisite design, finely carved patterns and BIPV assembly are combined together to bring tourists another unique attraction. For sightseers who want to find a quiet resting place where they can enjoy the bright light energized by solar energy, this building is your ideal destination. 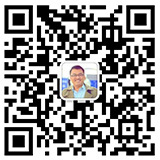 Core Products: BIPV Sunlight Room, BIPV Landscape Guard Rail, BIPV Bridge Lighting System. Solar energy solutions can be applied to many public facilities within the landscape, such as solar bench, solar toilet, and solar dustbin. Solar energy powered public facility not only serves a functional purpose, but also adds a decorative touch to the landscape.